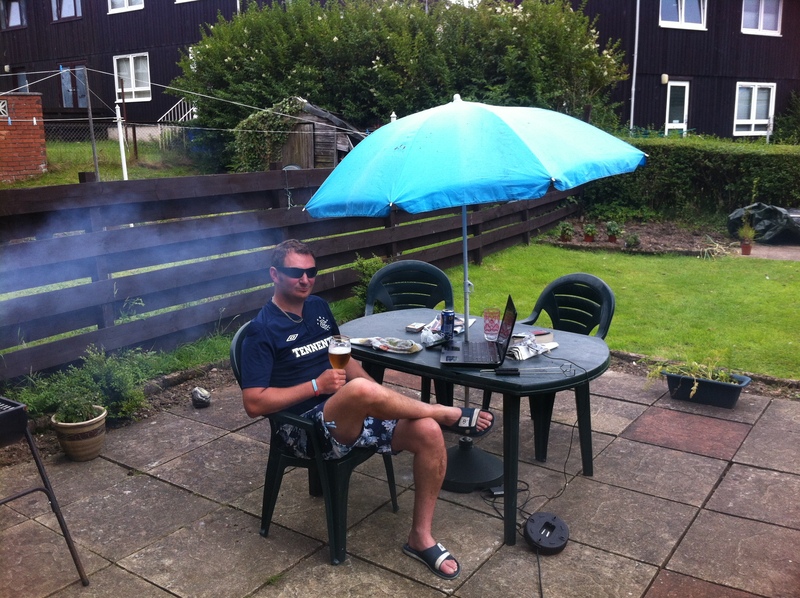 Readers, you may have noticed I steer away from mention of husband-to-be… He’s a bit online shy and would prefer an anonymous role, so apart from the odd picture of him BBQ-ing in atrocious weather, I respect that choice. I did, however, ask if there was anything he thought I should blog about. In the interests of democracy of course, slightly because my imagination had run dry and in an attempt to make myself look marginally less self-obsessed. I mentioned everything I had blogged about previously – in the fine tradition of blogging it’s all been about ME, ME, totally fascinating ME – which was why the obvious writing course to him was the venue as I hadn’t written about that previously. So – we are getting married at this amazing place called the New Lanark Mill Hotel. New Lanark is a fascinating place. Many moons ago, there was an industrial revolution, where Britain moved from farming and small-scale production (I simplify this hugely) to huge-scale manufacturing. Anyway, a Welsh social reformer called Robert Owen moved to New Lanark in 1799, taking over the management of the mills from his father-in-law and established fantastic conditions for his workers*. They got a day off! Young children couldn’t work in the mills! People were allowed and encouraged to socialise and do cultural things! Fast forward 160 years or so and Robert Owen’s mills went to wrack and ruin in the 1960s once they went out of use. Step in the conservation people and by the 21st century, it has been made a World Heritage Site. It’s also a great day out – museums, exhibitions, restored cottages, Robert Owen’s house, a walk by the Falls of the Clyde etc. The big mill has been turned into a hotel and it is there where we’ll wed (if Mother Nature spares us and neither of us change our minds in the next nine months). *From a 21st century viewpoint, they were still sh*t – one day off a week, so you could go to church, find out how to read and do your washing (without electricity, washing was a really rubbish job). ** Just one wee quibble from my intended. He’s rather narked at the price of a pint of beer at this otherwise faultless establishment.